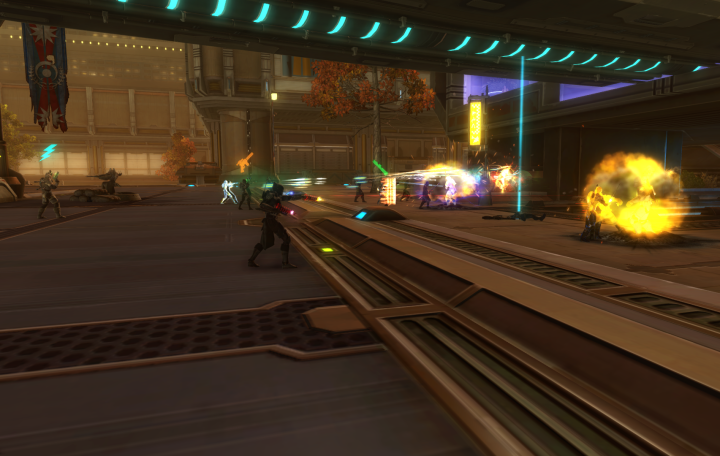 Ord Mantell Raided by Mandalorian forces! 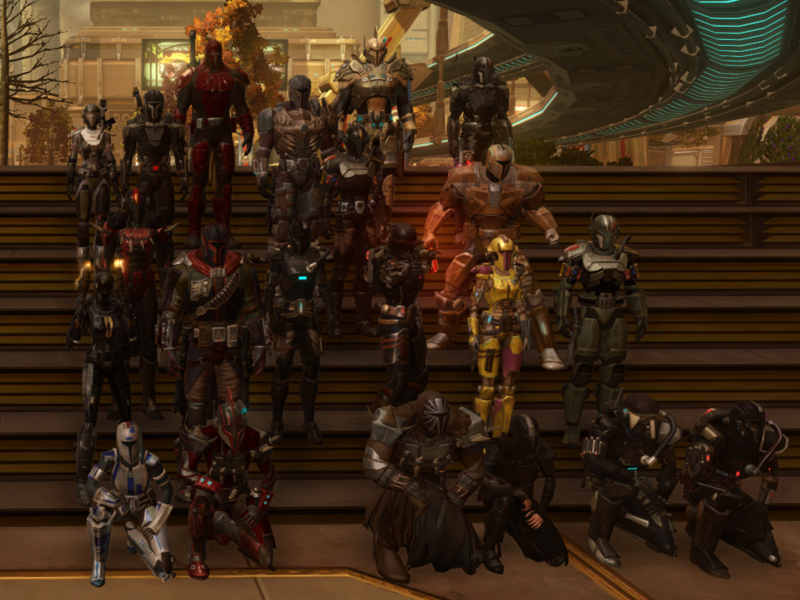 Forums » HoloNet Transmissions » Ord Mantell Raided by Mandalorian forces! The Republic News Networks are swarming with emergency reports of Ord Mantell being attacked, various differing accounts about the planet being in flames, Sith rituals, and butchering of the populace. Simultaneously, a series of broadcasts would begin along every non-military frequency from the Galactic Core, to the edge of the Sith Empire. The image fades, transitioning to show a trio of Mandalorians standing in front of a Mythosaur banner, their body language mostly impassive. The one to the right speaking in a deathly quiet voice. "Today, as most of you know... Gar Saha raided the Republic fortress world of Ord Mantell. We plundered their ammunition supplies, disabling weapons of mass destruction that were stashed there. Weapons that they tested on imperial prisoners of war, now freed, preparing to bombard Imperial, Hutt, and Mandalorian worlds. Our crusade is not only one of Vengeance, but one of liberation." The image shifts again, showing a large gathering of Mandalorians arrayed near a flight of stairs in various poses. "The Mandalorians you see here, are heroes. They fought and bled to save the people of the galaxy from Republic dogma, and their religious backers. However, it makes me glad to say that not one Mandalorian fell during the battle, and one of our number struck down the Jedi who took it upon herself to lead the defense of their bioweapons vault in single combat. According to the records we... liberated, Master Qella'tak had been protecting the scientists in charge of the facility. As she faced against Kravik in single combat, he seized the collar of her robes, pulling her into a savage headbutt before ramming his gauntlet-blade through her skull. As our warband encircled the garrison, Republic forces made an honorable last stand, but they died, ignorant of the crimes they were complicit in." The next image is one apparently taken with a helmet's heads-up display, showing the Mandalorians as they mop up the survivors. "This is a mere sample of our might, a simple raid that dealt so decisive of a blow to the integrity of the Republic. Their War crimes are revealed, and we are one step closer to victory. Oya! Oya Manda! Kad Malyas'yr bic!" The image shows the banner once again, the final portion of Vode An resounding through the background.